With six votes in favor and one against, the Peruvian Constitutional Court annulled the law that prohibited the State from contracting state advertising with private media after declaring it unconstitutional, newspaper El Comercio reported. The law was approved by congress last June. 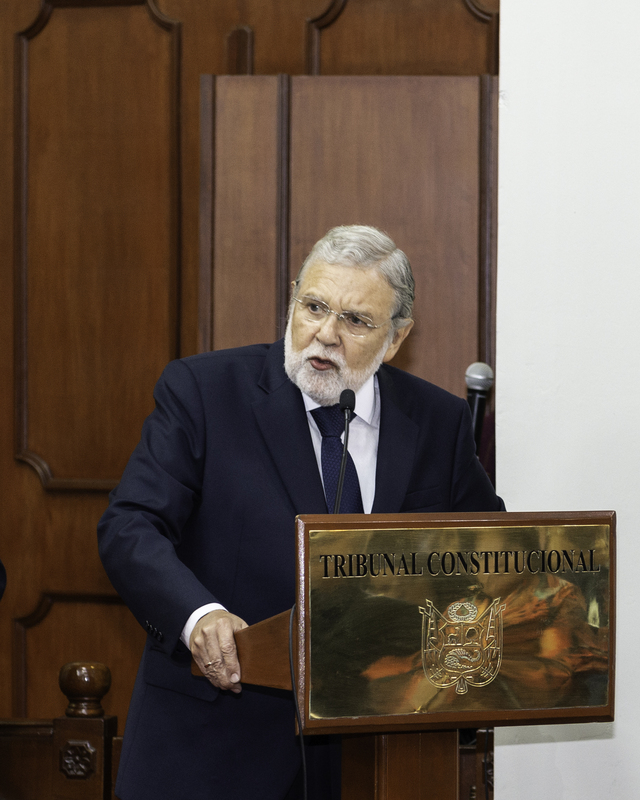 The president of the Constitutional Court, Ernesto Blume, said at a press conference that the law violated the fundamental right of Peruvians to information, according to RPP Noticias. Blume also indicated that the ruling will be officially published on Oct. 22 and that it will include some reasonable proposals for contracting state advertising in private media. Peruvian President Martín Vizcarra greeted the court’s decision via Twitter as soon as the ruling was made public. "The Constitutional Court today gives back to citizens the right to be informed of the actions that the State performs for their benefit," the head of state said. According to La República, Vizcarra also mentioned that the law not only prohibited contracted state advertising, but also prevented local and regional governments and other entities from communicating a series of actions necessary for citizens. Congressman Mauricio Mulder, author and promoter of the so-called "Mulder Law," regretted the court’s decision and said that its decision will prevent oversight of state money, RPP Noticias reported. Also, Mulder announced that he will present a new bill that regulates state advertising. After the repeal of the law, Peruvian Vice President Mercedes Aráoz asked for a review of the bill that she presented to Congress months before, Perú21 published. Aráoz explained that her proposal is more comprehensive since it regulates government communication and state advertising, La República reported. Through a release published on its Twitter account, the Peruvian Press Council (CPP, for its initials in Spanish) accepted the court’s ruling with pleasure, for restoring the right to freedoms of information and expression. The National Press Association (ANP) described the ruling as healthy and legitimate because it is a discriminatory law that also affected the duty of the State to be transparent. According to its records, more than twenty journalistic programs have been forced to close due to the absence of state advertising since the questioned law was enacted. Via Twitter, the Special Rapporteur for Freedom of Expression of the Inter-American Commission on Human Rights (IACHR), Edison Lanza, expressed his pleasure at the Court's ruling on the "Mulder Law.” He recalled that his office had sent a technical opinion with analysis and standards on the matter. Other journalists' associations in the country also welcomed the annulment of the law, such as the Press and Society Institute (IPYS). After the enactment of the law, on June 14, both the Executive Branch and a group of congressmen and IPYS filed an action of unconstitutionality against the law. The criticized and now repealed law obliged the State to publish its advertising in government accounts in social networks and to contract it only with state media and at cost. In a previous interview, the executive director of the CPP, Rodrigo Villarán, told the Knight Center that only 14 percent of Peruvians interact with government media and that these could hardly replace private mass media in the short term regarding dissemination of news at the national level.